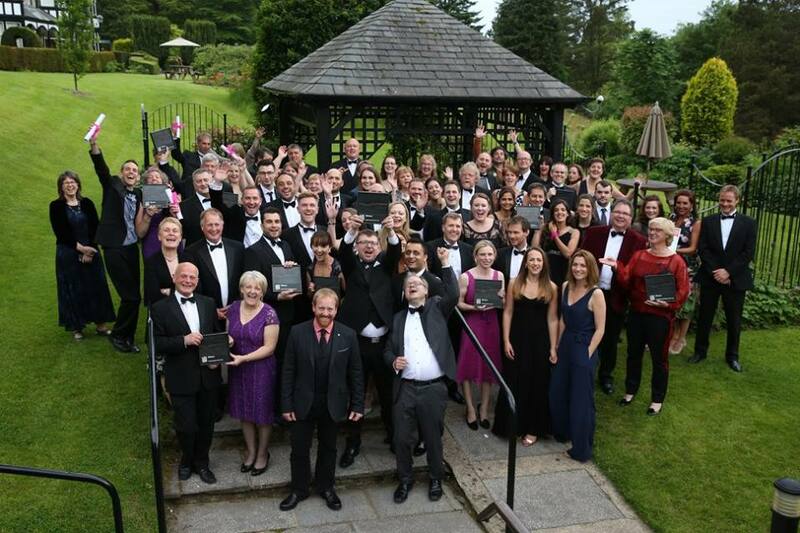 The winners of the 13th Cumbria Tourism Awards were revealed at a glittering ceremony held at the Castle Green Hotel in Kendal last night (Tuesday 16th June 2015). The evening was a celebration of the very best of Cumbria’s tourism industry. Hundreds of tourism professionals representing businesses from around the county eagerly gathered to hear Canadian comedian Sean Collins whose TV credits include Michael McIntryre’s Comedy Roadshow., announce the winners. Cumbria Tourism’s annual awards are open to a whole range of tourism related businesses including; hotels, guest accommodation, holiday parks, visitor attractions and tourism employees, which make up the county’s thriving tourism industry. They celebrate the best of Cumbria’s tourism businesses, the talented individuals behind them and a chance to applaud their hard work and dedication, which drives an economy worth over £2.4 billion each year. There is an award category to suit everyone across Cumbria’s vast and diverse range of tourism businesses with 15 categories in all, including the Sheila Hensman Award for Outstanding Customer Service, the Tourism Experience Award, Sustainable Tourism Award and Taste Cumbria Award. In addition, there are several sector specific categories including; Guest Accommodation businesses, Hotels, Visitor Attractions, Holiday Parks, Pubs and Self-Catering providers. This year we were delighted to announce two new categories for 2015 – New Tourism Business Award and Award for Innovation. For the first time this year two of the award categories were put to a public vote on Cumbria Tourism’s GoLakes website. Tourism Event of the Year (Sponsored by G1Creative) was chosen by people who had attended and enjoyed the amazing event and Tourism Pub of the Year was driven by a social media campaign delivered by Cumbria Tourism and the finalists themselves. This time the vote decided the three finalists for this category, from a hotly contested shortlist, and the winner was decided simply by the highest number of votes. Across all the categories, the judges were looking for excellence in all areas of business practice. Winning businesses have proved they are providing memorable visitor experiences, an exceptional quality of product and exemplary customer service, as well as (where applicable) using the best, fresh, local ingredients and making a contribution to the long-term sustainability of their local community. This year in addition to the awards the judges decided to present Maryport Maritime Museum with a special certificate in recognition of a visitor attraction that is run solely by volunteers. Their enthusiasm and passion for this small museum truly enhances the experience of visitors to this part of West Cumbria. The majority of the winners from the awards will go on to represent the county at the Visit England Awards for Excellence in 2016. Cumbria has seen a great deal of success at national level in recent years, resulting in fantastic media promotion for the winning businesses and Cumbria – the Lake District as a quality visitor destination. Each category winner received a certificate and a specially commissioned brand new, bespoke metal award handcrafted by award-winning architectural and sculptural metalworkers Chris Brammall Ltd in Ulverston. Cumbria Tourism would like to thank their sponsors for making the event possible, they include: Lamont Pridmore, H&H Reeds Printers, Cumberland Business, Armstrong Watson, Colliers International, Enterprise Answers, G1 Creative, NatWest Commercial & Corporate Banking, Langtons and Chris Brammall Ltd.